Currently Hivos is implementing the SWITCH Asia Local Harvest project together with its partners: WWF Indonesia, Aliansi Masyarakat Adat Nusantara (AMAN), Asosiasi Pendamping Perempuan Usaha Kecil (ASPPUK) and Non Timber Forest Product – Exchange Programme (NTFP-EP) Indonesia. The project is co-funded by the European Union. The specific objective of the project is a significant shift in consumption patterns towards sustainable and ethically sourced food products in Indonesia that stimulated by increased knowledge and awareness of consumers about the impacts of their food choices; increased capacities of food MSMEs and producers - including women and indigenous people - to penetrate markets; and a favorable policy environment for uptake of SCP practices in the food sector.. One of the expected outcomes of the project is lobby and advocacy through a national and local multi stakeholder platform that consisted of key actors in the food system in Indonesia. The Switch Asia Local Harvest project is co-funded by the Sustainable Diets for All (SD4All) program implemented by Hivos and IIED since 2016. This is one of the four programmes of its Dialogue and Dissent strategic partnership with the Dutch Ministry of Foreign Affairs. The long term goal is more sustainable, diverse, healthy and nutritious food available for low to middle income citizens. Multistakeholder platforms in local and national level promoting this long term goal are part of the Theory of Change of SD4All. Meanwhile, in relation to the Sustainable Development Goals (SDGs), the Indonesian government has shown strong commitment and taken actions, including linking most of the SDGs targets and indicators to the national mid-term development plan (RJPMN), including mainstreaming sustainable food and agriculture into the plan. A multi-stakeholder forum that involves government and non-government actors can be one of possible routes to achieve the SDGs target. Both Switch Asia and Local Harvest programs put strong emphasis on its contribution for SDG implementation in Indonesia, including but not limited to SDG 2 and SDG 12. Hivos is one of the co-leads of SDG 12’s One Planet Network - Sustainable Food System program in the global level. 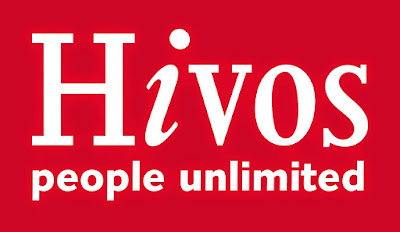 Hivos intends to assign consultant(s)/team of consultant for facilitating series of workshop for the establishment of a national multi stakeholder platform on food system in Indonesia in collaboration with key stakeholders, including relevant government agencies.. The workshops will involve stakeholders from government, private sector, civil society organization, media, academics and network and will be using the ‘Sustainability Accelerator’ approach and tools in the process. Discuss with Hivos, implementing partners and other relevant stakeholders i.e. government for developing strategy and plan for the establishment of the multi-stakeholder forum. A concise report on series of workshop (milestones) for developing a national multi stakeholder platform on food.